Maharashtra Housing and Area Development Authority (MHADA), the most popular government organization, shares a glorious History in the Housing sector. The basic objective of the Housing Authority was to uplift the standard of living of the last section of the society. In the last seven decades, MHADA has provided affordable housing to nearly 7.50 lakh families across the state, of which 2.5 lakh alone are in Mumbai. In the last seventy years, MHADA has seen many aspects of housing activities and also ups and down in housing sector but MHADA was always adaptive to these changes. In pre-independence era, Industrialization gave rise to urbanization, and resultantly led to migration. Many people in the rural areas shifted to urban areas in search of employment opportunities , better living standard and better education in the city. Also after World war II, the partition of India and formation of Pakistan led to the largest human mass migration in history. Many Hindu refugees settled in Mumbai, where the Indian government gave them asylum. Resultantly acute shortage of housing was felt in the then Mumbai province of India, which extended its borders till Karachi. To tackle the problem of housing, the then Housing Minister Guljarilal Nanda passed the Housing bill and thus came into existence the Maharashtra Housing Board, which was constituted under the Bombay Housing Board Act, in 1948. Maharashtra Housing Board was formerly called "Bombay Housing Board", soon after institution became popular among masses in the state as it was the only respite for the people to avail budget home in size and price. The Housing Board had its jurisdiction over the entire state of Maharashtra except Vidarbha Region. Various affordable housing projects for different sections of the society were implemented by the housing Board. Some of the landmark projects included Ambedkar Nagar in Worli was the first housing project that was constructed in 1948 while the housing project of Tagore Nagar, Vikhroli that was built in 1962-63, became one of the biggest housing project in Asia. The housing Board had the responsibility of allotment and maintenance of these housing colonies. The Vidarbha Housing Board was established in the year 1956 as a successor bodu to the erstwhile Madhya Pradesh Housing Board. Its functions were similar to those of the Maharashtra housing Board. Later the Bombay Building Repairs and Reconstruction Board was constituted under the Bombay Building repairs and Reconstruction Board act, 1969 to tackle with the issues of old and dilapidated buildings situated in the island city of Mumbai and undertook the repairs and reconstruction so as to make them structurally sound and safe for habitation. The urbanization and migration gave rise increasing slums in the city. People coming to cities found their shelter in every empty space including pavements in the city giving rise to slums. To provide basic amenities such as potable water taps , drainage, path ways street lights and public toilets, the Maharashtra Slum Improvement Board was constituted in 1971. To begin with, its activities were confined to the Mumbai City and Mumbai Suburban Districts. These activities were later extended to the other parts of the State. To integrate the activities and functions performed by these statutory bodies, and to provide for a comprehensive and coordinated approach to the problem of housing, the Maharashtra Housing & Area Development Authority (MHADA) was established by the Maharashtra Housing and Area Development Act, 1976. It came into existence on 5th December 1977. All the existing housing boards were brought under one umbrella " Maharashtra housing and Area Development Authority" on 5th, December, 1977. The erstwhile Mumbai Housing and Area Development Board was restructured by a Government Resolution dated 5.11.1992 and split into three separate Boards viz. Mumbai Housing and Area Development Board, Mumbai Building Repairs and Reconstruction Board and Mumbai Slum Improvement Board Under the Government Resolution No. 2679/B, dated 22.7.1992. And soon regional Boards were established in the state - Pune housing and Area Development Board, Aurangabad housing and Area Development Board, Nashik housing and Area Development Board, Nagpur housing and Area Development Board, and Amravati housing and Area Development Board. Later through a special government order on 10th February 1989 Konkan housing and Area Development Board was constituted under the housing Authority. Today MHADA is the Apex organization coordinating and controlling the activities of its seven Regional Housing Boards, viz Mumbai, Konkan, Pune, Nashik, Nagpur, Amravati, Aurangabad and two special purpose boards viz. Mumbai Building Repairs and Reconstruction Board , an independent board that looks after the greater Mumbai region and Mumbai Slum Improvement Board, which is responsible for implementing the slum improvement programme of the state government in the Greater Mumbai region. 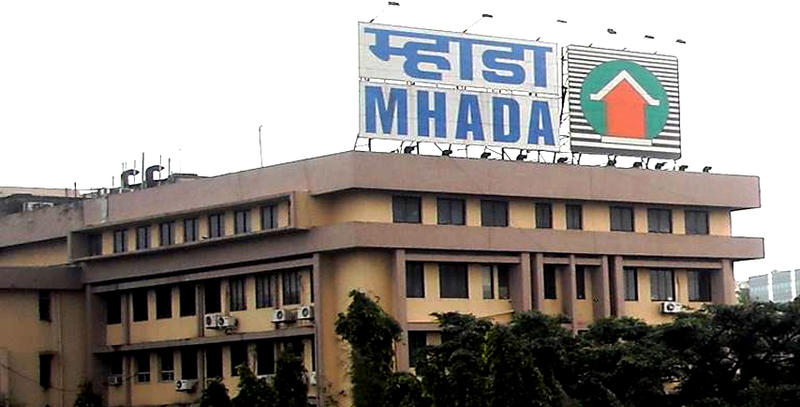 MHADA has constituted three local Area planning Authorities , one each for Chandrapur , Sholapur and Dharavi respectively for G/North ward of BrihanMumbai Municipal Corporation.